Saltash Regatta is one of the most colourful events held in Cornwall and, certainly for South East Cornwall, is the most popular annual regatta. Gig racing, hosted by Saltash-based Caradon Pilot Gig Club, is run to the highest standard. On the river you'll also find sailing, canoeing and wild swimming too. 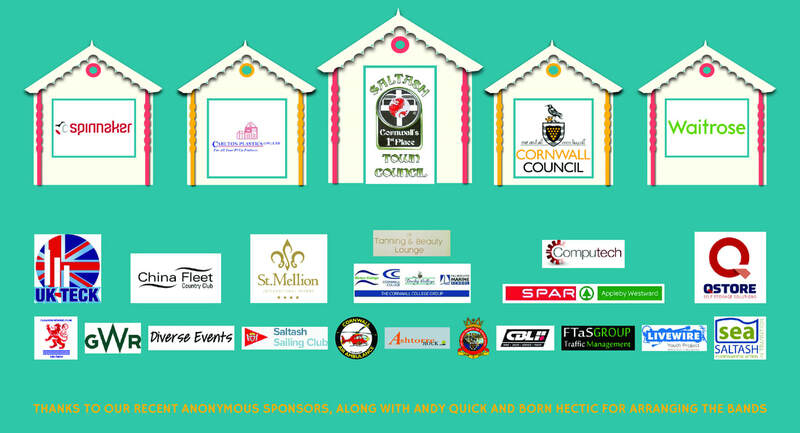 Saltash Regatta is not just about water sports; there is so much more ashore to keep everyone in the family happy and entertained. ​There are myriad bands of all types, street entertainers and children’s rides and entertainment. A wide range of market stalls and food vendors will cater to suit all tastes and budgets, alongside some quirky and interesting craft stalls. The Regatta continues to be run by volunteers and is not for profit, and you'll see donation buckets around the event - this will go towards funding this event again next year! We pride ourselves on putting on a fantastic two-day event with great family appeal and a relaxed atmosphere. The Regatta remains FREE to visit!